In 1945, John Hersey's A Bell for Adano was awarded the Pulitzer Prize for fiction, the first year after being renamed from the novel category. The story takes place toward the end of WWII, when Major Victor Joppolo is named temporary major of a fictional town named Adano, modelled on the town Licata. Hersey was a Time Magazine correspondent who later wrote Hiroshima, a book about the nuclear aftermath that should be required reading in every US History class—Hersey's ability to prick the conscience is so great that after reading the book a Manhattan Project scientist wrote that he wept as he remembered how he celebrated the dropping of the atomic bomb. I don't want to give away too much of the plot, because suspense is central to the writer's intent. Major Joppolo is convinced that the United States has "something to offer" other countries, that our proudest virtues are something we can, in fact, export. The Fascist mentality, with its cruel and arbitrary excess, is his enemy in a war not so much between the Allies and the Fascists, but between use of power to serve and uplift the masses and use of power to crush them under one's heel. Reading this book, you are alternately torn between a pins-and-needles feeling of wondering if Joppolo's insubordinate actions will come back to haunt him or he'll ride the wave of the town's adoration indefinitely and laughter at Hersey's humorous portrayal of the expressive Italian heart. You also wonder if he will give in to his attraction to a local beauty while away from his wife. This book is engaging and easy to read; the pace is fast, and the characters complicated enough to keep you interested. I would highly recommend A Bell for Adano as the questions it raises are just as important today as they were more than a half century ago. 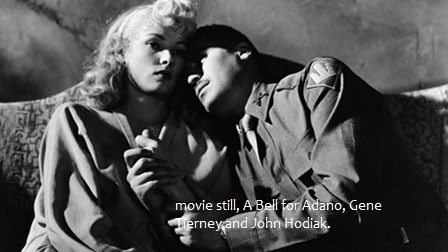 A Bell for Adano was also made into a 1945 film with Gene Tierney as the heartbroken Tina and John Hodiak as Major Joppolo. 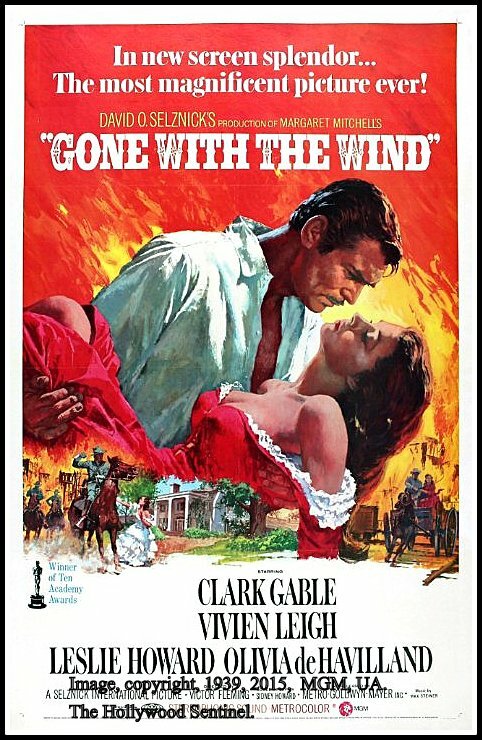 Gone With the Wind, the dramatic Civil War tale by Margaret Mitchell, is perhaps the most famous Pulitzer Prize winning novel (1936) to be made into a feature film. The 1939 film, starring Vivienne Leigh as Scarlett O' Hara and Clark Gable as Rhett Butler, won an Academy Award for Best Picture, and became an instant classic. If you love the film, it's hard to imagine that the book could be any better. Yet it is. The book hits a sweet spot between literary and commercial fiction, with characters that are as hopelessly tormented as they are flawed; yet with passionate natures that garner respect. This book is more than one thousand pages long, and is more full of Southern nostalgia than is politically correct today, but the saddest part about Gone With The Wind is that the author was tragically struck down by an automobile in 1949 before she could publish a sequel.